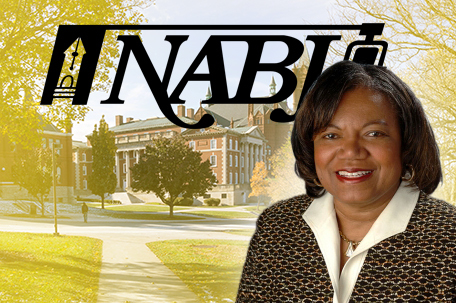 WASHINGTON, D.C.–The National Association of Black Journalists (NABJ) is mourning the loss of longtime member, friend and journalism educator Lorraine Branham, Syracuse University’s journalism school dean. Branham passed today after a battle with cancer. She was 66 and a Philadelphia native. Branham has impacted the lives of thousands of journalists and, according to Syracuse, took over as dean of the S.I. Newhouse School of Public Communications in 2008. She was the first female and the first person of color to occupy the position. Branham also lent her expertise and passion in previous roles, including leading the journalism school at the University of Texas at Austin. Branham was credited with overseeing an $18 million fundraising campaign to renovate the Newhouse II Building and create the Newhouse Studio and Innovation Center. Her achievements while at Newhouse included establishing the Center for Digital Media Entrepreneurship; the Peter A. Horvitz Endowed Chair in Journalism Innovation; the W2O Group Center for Social Commerce; the Newhouse Sports Media Center; and The NewsHouse student-run news magazine.